Minecraft PE City Seeds for Minecraft PE/Minecraft Bedrock Edition. These seeds have a city at or near the game spawn point. 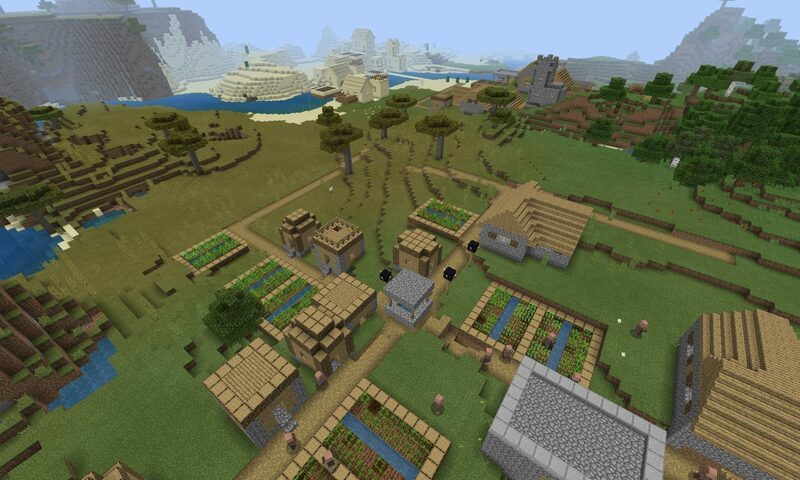 View all Minecraft Seeds or all Minecraft PE Seeds. This Minecraft: Pocket Edition City Seed is on the smaller side, but a city nonetheless. The buildings that make up the city span across two different biomes, include from two villages, and feature two blacksmiths! 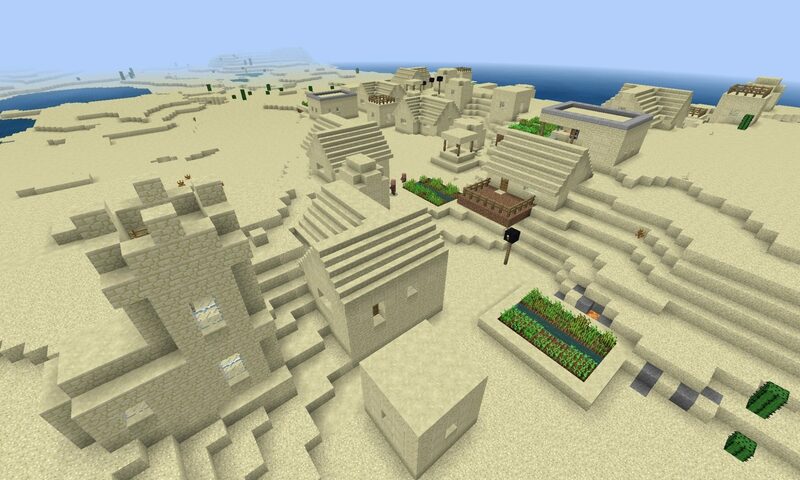 This is an awesome desert city seed for Minecraft PE/Bedrock Edition. The desert city has two blacksmiths, tons of loot and is closet to a desert temple!